Singing, acting and fundraising – it all comes naturally to one of our junior fundraisers. 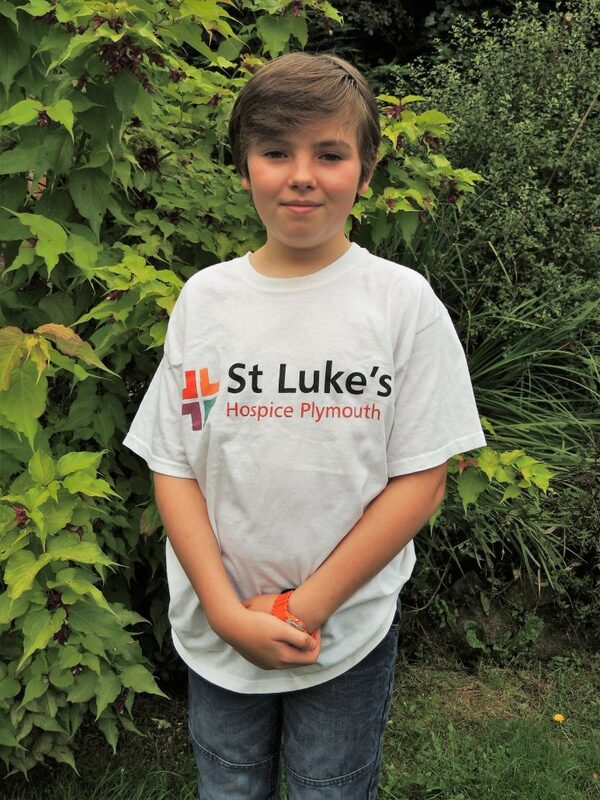 Unlike most eleven-year-olds, Angus Black from Gunnislake has spent his weekends busy fundraising for St Luke’s at our Open Gardens. If you have attended one of our Open Gardens this year you may have spotted Angus lending a helping hand by helping his granny sell St Luke’s merchandise and plants and even entertaining garden visitors with his singing. Angus was inspired to help out after following in the footsteps of his granny and one of our community fundraising ambassadors, Sue Crocker. Sue’s husband Richard spent his final days being cared for in our specialist unit 10 years ago. So far Angus’ impressive fundraising has raised £710 for patient care. Angus was thanked personally by St Luke’s CEO Steve Statham when he visited our specialist unit at Turnchapel last month. His amazing dedication and support to St Luke’s over the Open Gardens season will come to an end in September as our season closes but Angus has said his fundraising will not stop then. However he will have to fit it in around his busy schedule, as he is also currently acting in the new series of ITV’s Doc Martin. But he says he would be delighted to continue to help raise as much as he can to help us to deliver our care to those in need. St Luke’s Open Gardens are sponsored by McClure Solicitors. NEWS: Your time, your story – listening services in GP surgeries PR: £50, one month, how much can you make?